Maurice Jones-Drew knows football. Specifically, he knows how to run the football. He is a former All-Pro running back for the Jacksonville Jaguars after all. The man had over 11,000 yards from scrimmage and 79 touchdowns in his career. If anybody is qualified to give the Chicago Bears running backs advice going into the draft, it’s him. In a full study of the upcoming 2019 class, he put together his rankings of every notable name from #1 to #41. From Day 1 starters to developmental projects. His choice for the top spot was no surprise in Alabama standout Josh Jacobs. The one many think has a chance to go in the 1st round. 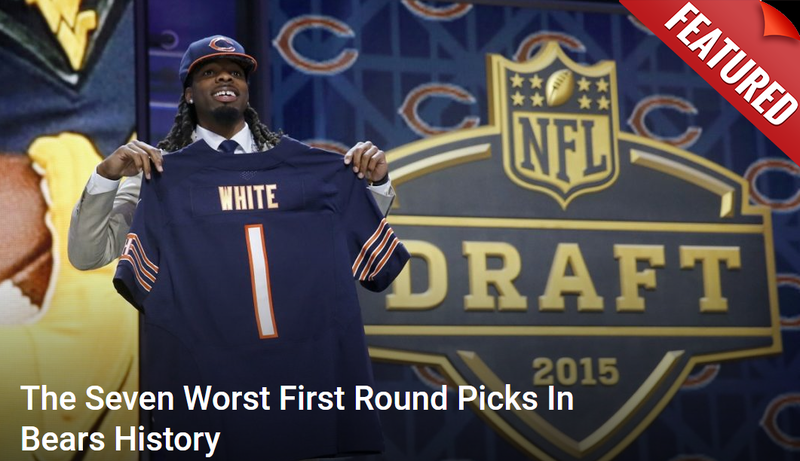 It’s the #5 guy on the list though that should have the Bears’ attention. Somebody who could be in striking distance when they go on the clock in the 3rd round on April 26th. He is Oklahoma State standout Justice Hill. The 5-10, 198-pound back had an impressive combine performance, ranking first among all running backs in the 40-yard dash (4.40), as well as the broad (10 feet, 10 inches) and vertical (40 inches) jumps, before cutting his day short with a tweaked hamstring. His speed, shifty running style and natural catching ability should give him the opportunity to compete for a starting job. Hill seems to have the scouting community divided. Some see him as a potential stud with standout athletic traits. Others think he lacks the instinct and vision for the position. This is why he’s hovering between the 3rd and 4th round in projections. One thing is for sure. His skill set from the speed to elusiveness and pass catching ability all fit with what Bears head coach Matt Nagy wants from that position. He may never be a featured player, but as part of a committee, he could be a dangerous weapon. Another chess piece for Nagy to move around the board looking for weaknesses. This is not to say others ranked above him on the list won’t be available. Stranger things have happened. However, the consensus is all of them will be gone before the Bears go on the clock. Hill is the one who has a reasonable chance of being there. The fact Jones-Drew likes him is a big plus.